This post first appeared back in 2015, it has since been updated as of May 12, 2016, which is a good thing. Are you a beauty blogger or style blogger? Maybe you are a mom blogger. Believe it or not, this guy knows a lot about the blogging world, especially this particular segment. How, you might ask? I’m married to one. 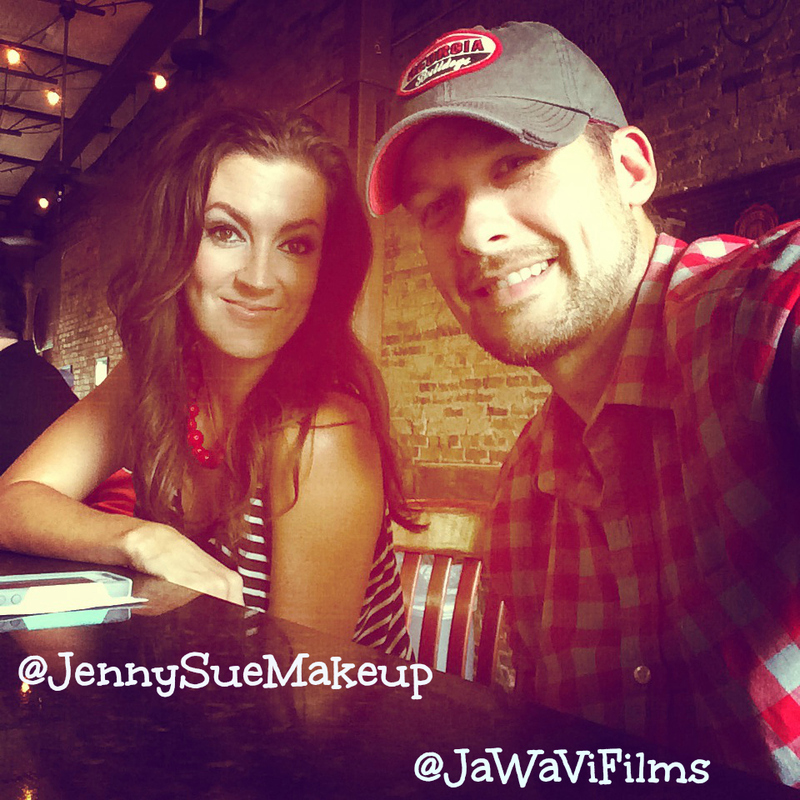 If you’ve read some of my past posts, I mention Jennifer and her blog, JennySueMakeup quite often. She has been a beauty blogger for seven years now, publishing great content each and every day. But I have been there every step of the way offering up everything from basic html coding, to giving opinions about what works and what doesn’t. But my favorite role is that of being JennySue Makeup’s filmmaker and video editor. Which Kind of Camera Should I Pick? Obviously, in one post, I cannot go through all of the finer points of creating a YouTube video from scratch but I wanted to touch on one very important aspect. What Camera Do I Use? In my opinion, there are only two video cameras you need in order to create an awesome YouTube video for your blog. The good news is that I bet you already have one of them. A GoPro (I have two GoPros in my arsenal, but have been so blown away by the new GoPro HERO4 SILVER and its ease of use, I wouldn’t recommend anything else for the purposes of blogging with a GoPro). Why? Simple. It is the only one with the LCD touch screen display, thus making it easier to use and to figure out. A GoPro? You might ask? Yes, these cameras are not just for extreme sports. As a dad to three kids, I am primarily utilizing mine for capturing shots on the golf course with my boys or mounting it to the top of my son’s remote control car. 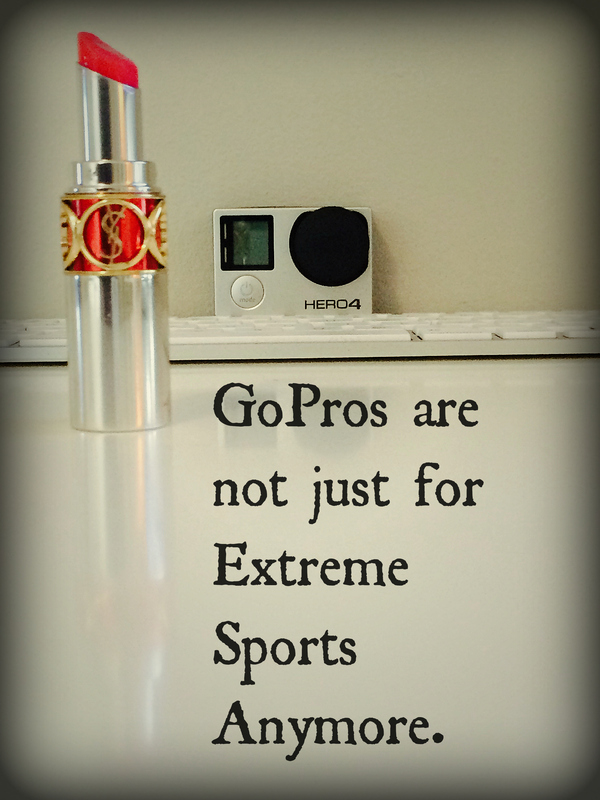 Recently, I have found that the GoPro is a fantastic choice for blogging videos. So I have begun using my GoPro to help film some of my wife’s YouTube videos. Let’s take a past brand production like this YouTube video from JennySueMakeup as an example and see if you can spot the shots that were taken with the GoPro? I used my iPhone and my GoPro interchangeably. The answers are below the video, but watch first and then try to guess. [fusion_builder_container hundred_percent=”yes” overflow=”visible”][fusion_builder_row][fusion_builder_column type=”1_1″ background_position=”left top” background_color=”” border_size=”” border_color=”” border_style=”solid” spacing=”yes” background_image=”” background_repeat=”no-repeat” padding=”” margin_top=”0px” margin_bottom=”0px” class=”” id=”” animation_type=”” animation_speed=”0.3″ animation_direction=”left” hide_on_mobile=”no” center_content=”no” min_height=”none”][fusion_youtube https://www.youtube.com/watch?v=1WZRK7RskHA/] There were four shots in the video that utilized the GoPro. Did you catch them? 1. At the 0.35 mark where you see Jennifer smelling the shampoo. This shot was captured by utilizing the GoPro with the Joby GorillaPod Flexible Tripod attachment.This relatively small, yet versatile accessory is a must for filming when you are on the go. It can wrap around just about anything for a secure, tight shot. For this, I simply wrapped the legs of the tripod around the grocery cart basket. All I did was press record on the GoPro and let it run for about 10 minutes straight as Jennifer pushed the cart around the store. It paid off. I was able to use this cute natural expression, which added depth to the overall story. Joby also offers the GripTight GorillaPod for those of you who don’t yet own a GoPro. This accessory will even accommodate your new iPhone 6 or 6+ to help take better pictures and videos. 2. The 0.59 mark where you see an item (Pond’s face cream) being removed from the shelf. In the video, Jennifer wanted to highlight some of the Unilever brand beauty products she uses and a quick clip of her removing the item from the shelf seemed appropriate This is a static shot where the GoPro (again attached to the Joby Gorillapod) was placed about one foot away from the bottom shelf. Alternatively, this effect could’ve been captured with the iPhone, but by using the tripod with the GoPro attached – the potential for any bumps or shakiness are completely eliminated. 3. For lack of a better term this could be called a “sandwich shot” at the 1:11 mark (for about a second) and then again at the 1:15 mark. This was a viewpoint that I had not originally planned as we were moving fast through Publix to film. We had our three kids in tow and the store was very crowded, so we had to get what we could and move on. To accomplish this shot, I took the GoPro out of the housing completely. There were no attachments, just the camera sitting on the shelf (It is so small you can literally hide it anywhere). Luckily the products were at eye level for Jennifer and what is cool about this clip is that you, the viewer are able to witness the selection of the item almost as if you were the product, patiently waiting on the shelf, hoping to be purchased. 4. At the 1:26 mark, again the Joby GorillaPod was utilized for a low vantage point. I wanted this clip included to give the viewer a glimpse of Jennifer as she ventured down another aisle. Just a mom at the grocery store shopping with kids. Another quick static shot from a low vantage point helps to keep the overall video interesting. 5. After looking at the video in its entirety, you might think that I may have missed pointing out another GoPro shot. At the 1:38 mark Jennifer is pulling out her beauty product haul to show to the camera. This is my iPhone propped up against her vanity. The GoPro could have been used here, but I wanted a closer shot and was able to zoom in a tad on the iPhone. In a situation like that, either camera would be fine to use. Important Note for filming with your GoPro: Traditionally, the type of shot that has made the GoPro and its cameras famous is the wide angled lens capacity. That is best when shooting action videos or landscapes. Not here. And, this is why the Hero4 Silver is so crucial for ease of use. 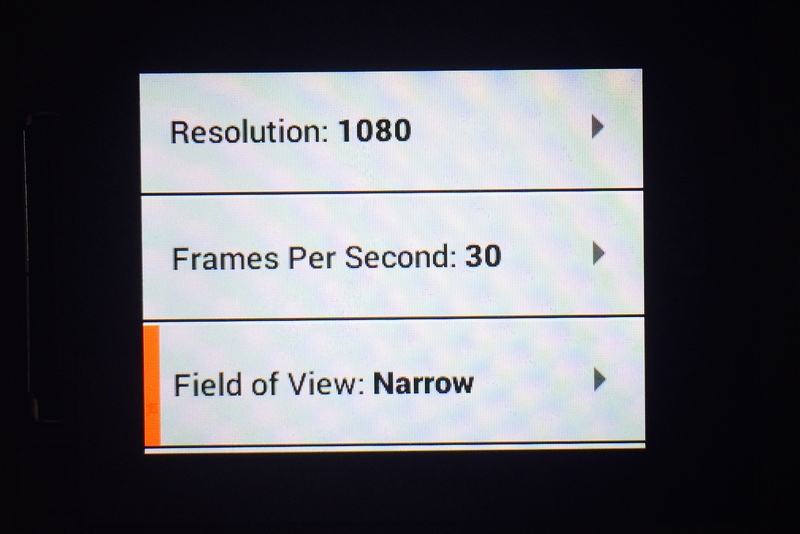 Change your video settings to 1080p, 30fps with a Narrow Field of View. By doing this you are shrinking the lens to capture as if it were your standard iPhone camera (for lack of a better term). This will make your video more congruent when you change from iPhone video clips to the Go Pro clips. You don’t need to make a huge investment in expensive cameras to be successful in creating an interesting YouTube video that can help build awareness of your company or website. For a video such as this one, filming when you are at home, out and about, etc, here is my advice. Just hit record. The amount of raw footage is debatable. I prefer having a lot to choose from. The more footage there is, the better your chances are of getting that perfect 2 to 3 second clip that demonstrates the main idea of your video perfectly. Keep a steady hand. Real, real important here. There are many times that I film while holding my iPhone in hand. A little shakiness is fine (just a little), it gives authenticity to your video. Plus, if you are out and about such as Jennifer was, it is almost inevitable. Frame your content well. I cannot stress this enough. This is why I like shooting with my iPhone and the GoPro HERO4 SILVER with the LCD Display. Just know what you’re trying to accomplish. Sometimes a far away shot is necessary, but if it is close you need, frame it well. Try using the “Rule of Thirds” and see if this can add some diversity to your shots. Hire a video editor. You have the cameras, you’ve shot the clips and now what. You’re stuck. You aren’t confident enough to edit your own video and don’t really know where to start. So, you upload the clips without any true editing and the impact of what it could’ve been is diminished. Or worse, you abandon the whole idea from the start. If you are that style or beauty blogger who needs help feel free to contact me at jawavifilms@gmail.com. Have you considered the power of videos on Instagram? Instagram now allows for there to be 60 seconds of video per post. Optimizing that crucial 60 seconds is key to getting your message out in a professional and creative manner. Check out my JaWaVi Films Instagram account here to see various Instagram videos edited within that 60 second second limit. Recently, my wife has asked for me to help her out with creating some beauty specific Instagram videos to add to her account. This can truly help drive traffic to your site and help you highlight your personality and beauty finds or recommendations. The possibilities are endless. It is fun to add a time lapse or speed up the video and then maybe slow it down for more effect. Throw in a favorite part of a song and you are set. Yes. Sound might actually be considered more important than the actual video. It’s debatable, but worth mentioning. I record beauty videos for my wife (jennysuemakeup on YouTube). If you search her name and watch her two latest videos. One’s titled, “JennySue Makeup Minute” the other “Gray Away”. In these videos it’s recorded on an iPhone 6s with a small Rode Lavalier mic plugged into the headphone jack. The mic is positioned right below Jennifer, just outside of the framing of the video and produces very good sound. Hope this helps and good luck with your videos! Thank you so much for this awesome post. I’m an elementary school teacher and writer. My children’s book is finally getting published this summer and I’ve been thinking of cool ways to keep my current Facebook followers engaged while also gaining more fans. Posting pictures and statuses on my wall makes me so uncomfortable sometimes because I don’t know if it’s engaging enough. I figured it would be super cool to create a YouTube channel where I can promote literacy, share my journey, and talk about my book. I could then post the links on my wall and make people feel more connected to me. Anyway, I was searching on the web on whether or not my 1 year old GoPro Hero4 is good enough for these high quality/YouTube channel worthy videos. I was nervous about having to spend more than $1,000, that I don’t have, on a new camera. Reading this post put me at ease and made me feel good with just using what I already have. I know this is a super long comment but I just wanted to thank you for convincing me to be money conscious and use what I already have sitting here.